No doubt you’ve heard all the chatter about Google+ by now. Many of the early adopters were techie geeks and marketing guys that pounce on every product Google rolls out. But the introduction of Business Pages, Google+ has drawn a larger crowd of folks looking to grow their social network, connect with prospects, and quite possibly improve search results in the process. 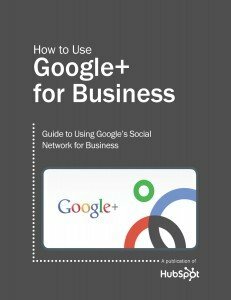 Here’s a handy guide from the guys over at Hubspot that shows you how to set up and use Google+ pages for business.